All I can say is OH MY GOSH!!! a new product is hitting the shelves in the East Bay and North East California at Costco. It is Lara Nut Butters. These two nut butters will blow your mind. They come in two flavors Chocolate Coconut and Banana Nut. I am normally not crazy about flavored nut butters, but these two have changed my mind. With my new-found products I made for you Apple Pizza. No better way to celebrate going back to school and getting back on routine with Apple Pizza. The Lara Cashew & Almond Nut Butters taste amazing. My favorite is the Chocolate Coconut. It tastes like a coconut cashew, one of my all time favorite treats. I can see eating this with a spoon. It pairs well with apples because of the crunch and sweetness of the apple just brings out the flavors of the nut butter all the more. I topped my apple pizza with unsweetened coconut and a few dark chocolate chips. Yum! My Husband took one too. Not nice because this was my treat! 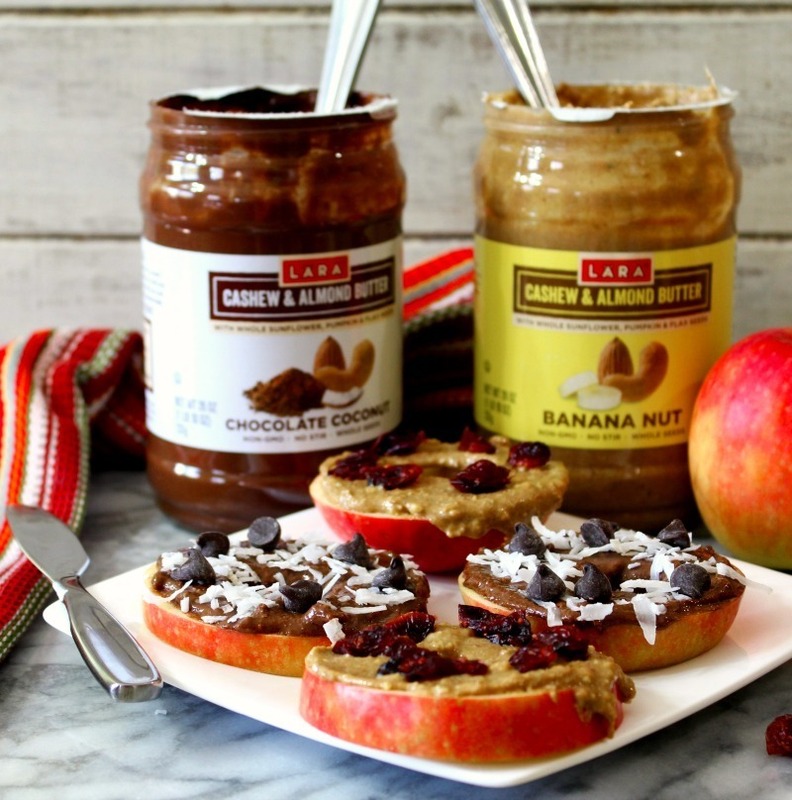 Lara Cashew & Almond Banana Nut Butter has a nice sweetness with a hint of banana. I can see using it in peanut butter cookies. Hmmmm….. Maybe I’ll do that in a few minutes. I paired the Banana Nut Butter with an apple of course and just topped it with a few dried cranberries. The cranberries gave it a nice chewy texture with the creamy Banana Nut Butter and the crunchy, sweetness of the apple. Honestly I don’t know what pizza I like best? I guess it’s mood pending. I got a little recipe book and I wanted to share with you two recipes I am so going to make with the Lara Cashew & Almond Nut Butters. 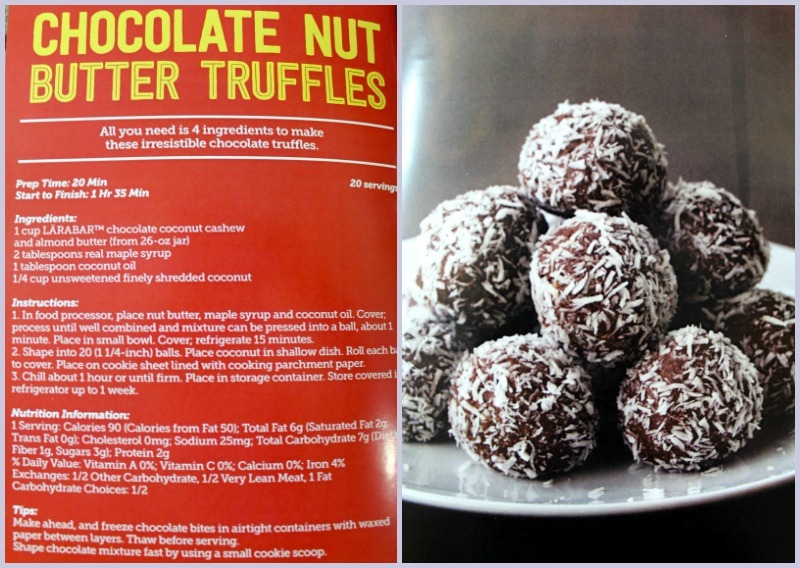 Just look at these truffles. Another recipe that is perfect for the Fall is Banana Nut Butter Bread. 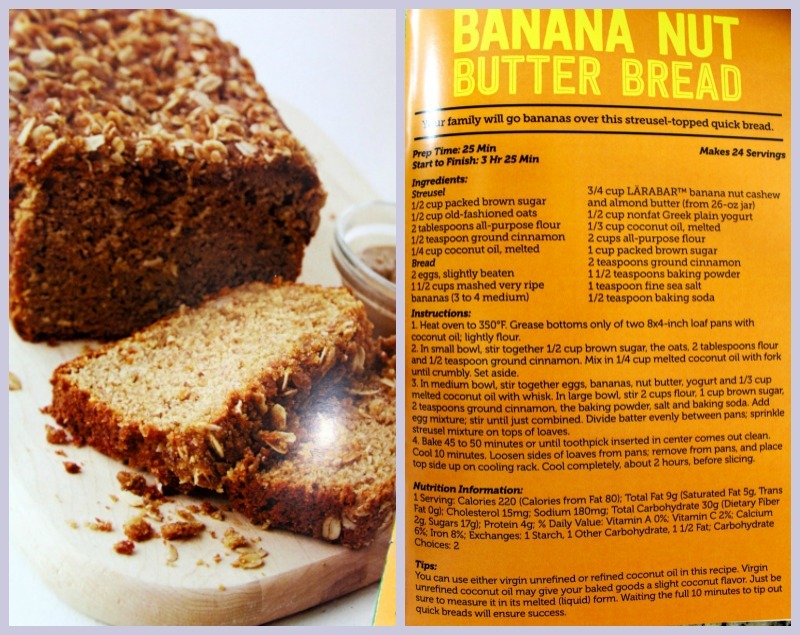 Can you just image using the Banana Nut flavored Nut Butter in Banana Bread? Pure heaven! 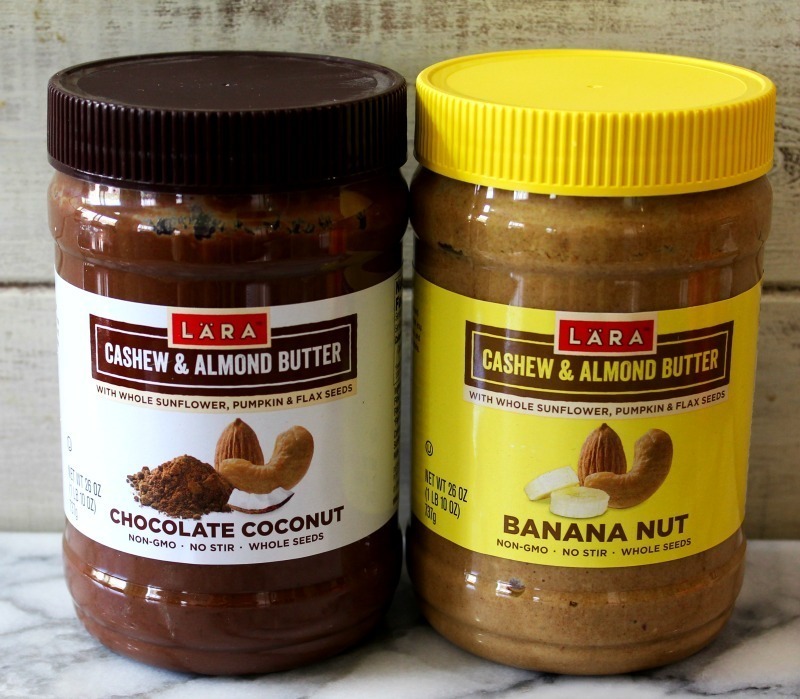 These new Lara Nut Butters will have you singing. I kid you not! They are so darn good! You have to try them. I hope they make is country-wide and soon! A crunchy apple topped with Lara Cashew & Almond Nut Butters. 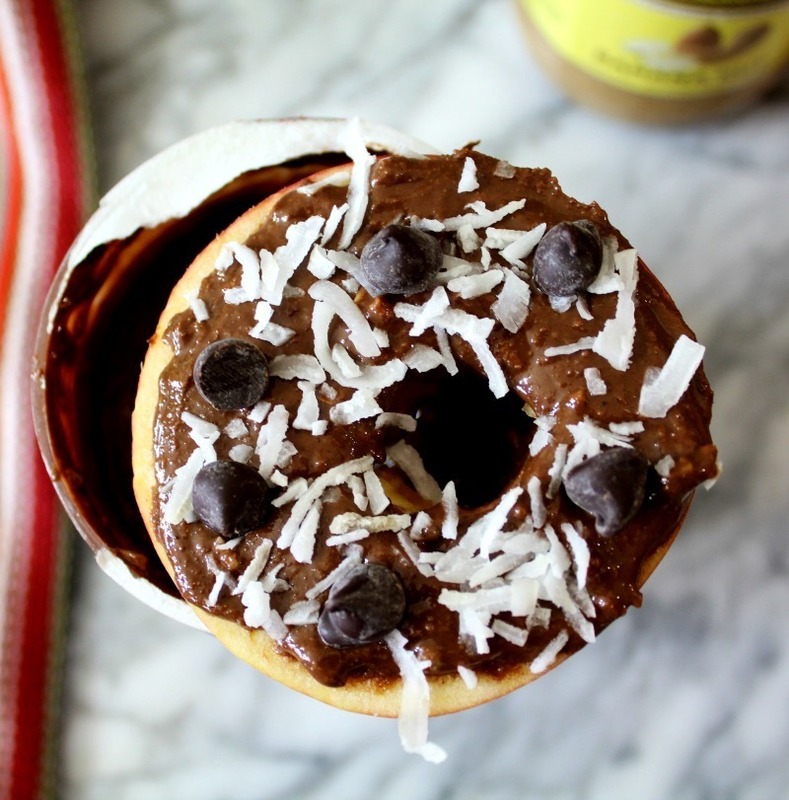 Chocolate Coconut flavored topped with shredded coconut and chocolate chips for a creamy decadence treat. 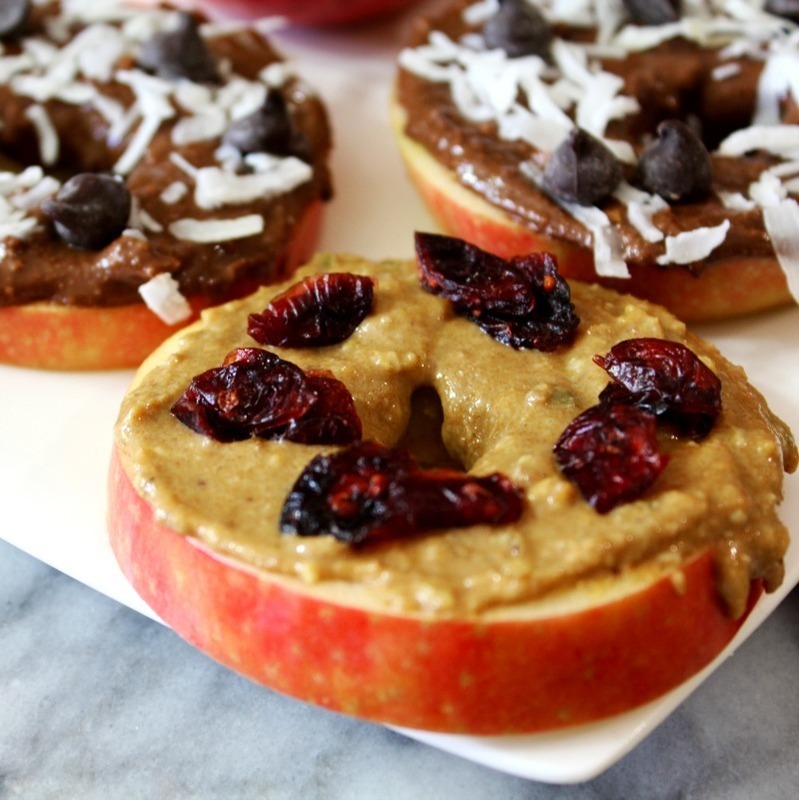 Banana Nut Butter for a sweet, chewy treat topped on a sweet apple. For Chocolate Apple Pizza: Cut apple into 4 slices. 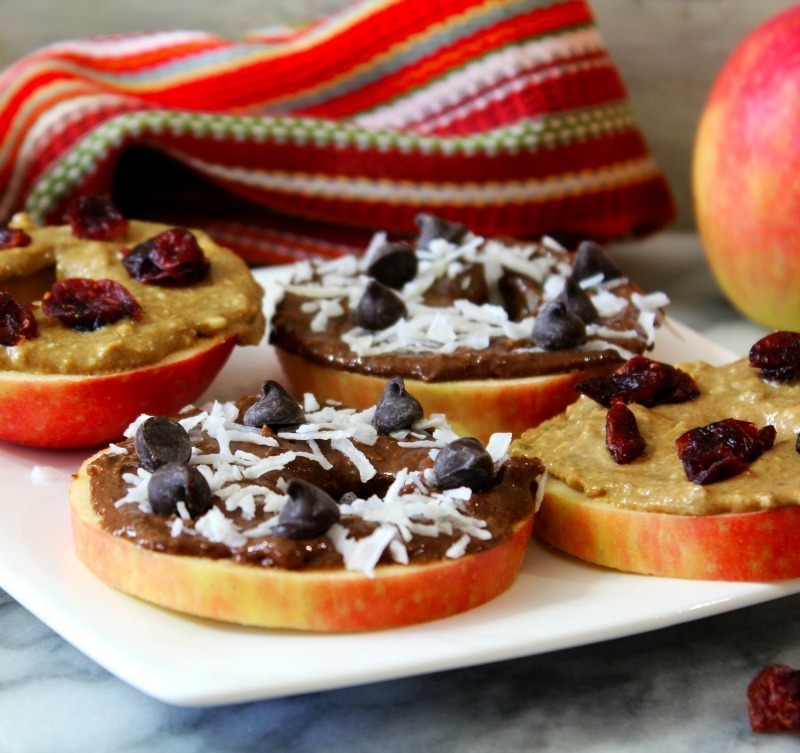 Add 1 tablespoon of Lara Nut Butter Coconut & Almond Chocolate flavored Nut Butter onto each apple slice. Evenly divide coconut and chocolate chips between each sliced apple. Enjoy! For Banana Nut Apple Pizza: Cut apple into 4 slices. 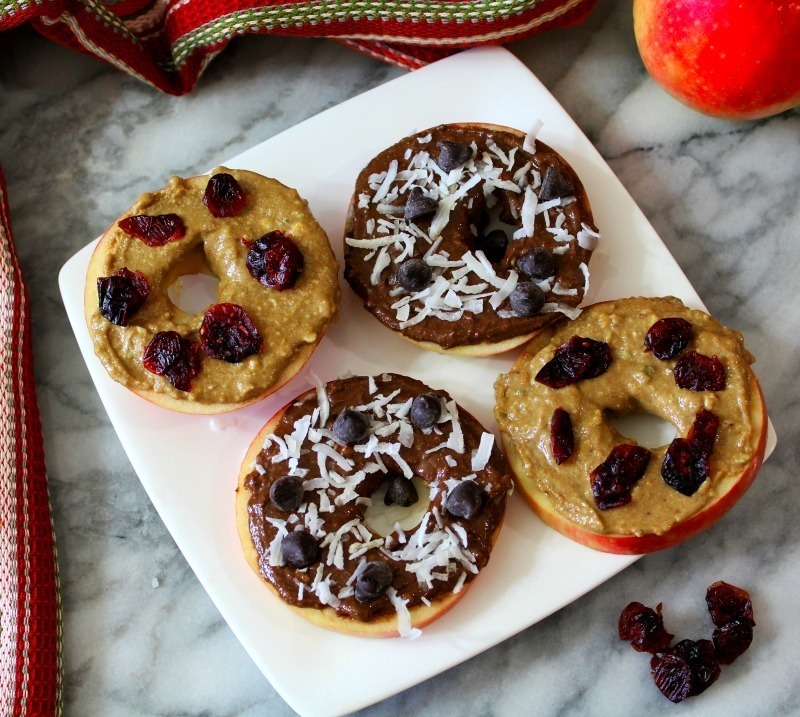 Add 1 tablespoon of Lara Nut Butter Coconut & Almond Banana Nut Butter onto each apple slice. Evenly divide cranberries over the sliced apples. Enjoy! This recipe makes two different kind of apple pizza. Each pizza contains 4 slices. I guess you can tell I love these new Lara Cashew & Almond Nut Butters. They are crazy good. This is a great way to celebrate my 5 year blog anniversary which is today! remember to stop by Costco to pick up your Lara Cashew & Almond Nut Butters! Have a great Sunday and a fabulous week!